Robert Osbourne Denver (January 9, 1935 – September 2, 2005) was an American comedic actor, widely known for portraying Gilligan on the television series Gilligan's Island and beatnik Maynard G. Krebs on the 1959–1963 series The Many Loves of Dobie Gillis. Denver was born January 9, 1935 in New Rochelle, New York but raised in Brownwood, Texas. He graduated from Loyola University in Los Angeles, California with a degree in political science. He acted in college productions at Loyola and met fellow student Dwayne Hickman, with whom he later co-starred in The Many Loves of Dobie Gillis. After graduation, he coached physical education and taught mathematics and history at Corpus Christi School, a Roman Catholic elementary school in Pacific Palisades, California. In 1971, Denver was arrested for possession of marijuana and drug paraphernalia in his car and pleaded no contest for a reduced sentence of a $250 fine. In 1998, he was arrested for marijuana delivered to his home, originally saying that the delivery came from Dawn Wells who played Mary Ann on Gilligan's Island, but he later refused to name her in court, testifying that "some crazy fan must have sent it." He pleaded no contest and received six months probation. Denver died September 2, 2005 from pneumonia, at Wake Forest University Baptist Medical Center in Winston-Salem, North Carolina. He had been receiving cancer treatment and had undergone heart bypass surgery earlier that year. Most of Denver's acting career was in television, though he also appeared in several films and on Broadway. He was widely associated with the title character that he played in the 1960s television series Gilligan's Island, and he continued to appear as Gilligan in several movies, as a guest on other television series, in personal appearances, and as a voice actor in the animated version of the series. Denver made his television debut in 1957, playing a small part in one episode of The Silent Service (S01 E37: "The Loss of the Tang"). While teaching at Corpus Christi in 1958, Denver was permitted to audition for a role on the sitcom The Many Loves of Dobie Gillis as a favor to his sister, who was a secretary on the production lot. He got the role, and left teaching the following year to become a regular on the series. From 1959 to 1963, he appeared on the series as Maynard G. Krebs, the teenaged beatnik best friend of Dobie Gillis, played by Dwayne Hickman. After filming the first three episodes, Denver received his draft notice, and was briefly written out of the script and replaced, but he was designated 4-F due to an old neck injury, and returned to Dobie Gillis having missed only one episode. Denver later reprised his Maynard G. Krebs role in the television sequels Whatever Happened to Dobie Gillis? (1977) and Bring Me the Head of Dobie Gillis (1988). During his time on Dobie Gillis, Denver appeared on the NBC interview program, Here's Hollywood. In 1963, Denver played his only major dramatic role on television, as a physician (Dr. Paul Garrett) in one episode of Dr. Kildare, telecast on October 10, 1963; the episode, "If You Can't Believe the Truth ...", also featured Barbara Eden and Ken Berry. Between the end of Dobie Gillis and the start of Gilligan's Island, Denver appeared in an episode of The Farmer's Daughter and in the final episode of The Danny Thomas Show. He also had a one-episode role replacing the actor who played Dudley A. "Dud" Wash, the fiancé of Charlene Darling of the Darlings, on The Andy Griffith Show which was aired March 30, 1964. This was done by the network to promote Denver's face and make him more familiar to the viewing audience, since Gilligan's Island was about to go on air. 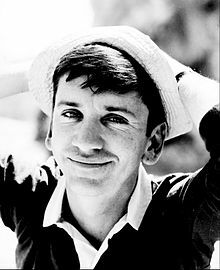 Following the cancellation of Dobie Gillis, Denver landed the title role on the sitcom Gilligan's Island, which ran for three seasons (1964–67) on CBS, and became a staple of later syndication. His role as the well-meaning but bumbling first mate among a small group of shipwrecked castaways became the one for which he is most remembered. During the run, Denver privately went out of his way to help his co-stars who warmly appreciated his efforts, such as successfully demanding that Russell Johnson and Dawn Wells be included in the series' opening credits and insisting that Wells get an equal share of the series' publicity with Tina Louise. 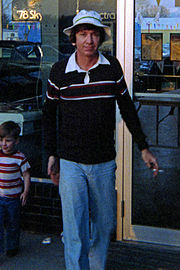 A decade after the series was cancelled, Denver played Gilligan in the made-for-TV reunion movies Rescue from Gilligan's Island (1978), The Castaways on Gilligan's Island (1979), and The Harlem Globetrotters on Gilligan's Island (1981). He also lent his voice to the animated series The New Adventures of Gilligan and its sequel Gilligan's Planet. During the 1980s, he re-created the character of Gilligan for numerous cameo appearances, including episodes of ALF, Meego and Baywatch, as well as a bartender in the film Back to the Beach (1987). After Gilligan's Island, Denver went on to star on other TV comedy series, including The Good Guys (1968–1970), Dusty's Trail (1973) (a show similar to Gilligan's Island, involving a lost wagon train headed to California), and the Sid and Marty Krofft children's program Far Out Space Nuts (1975). Four episodes of Dusty's Trail were later combined to create a feature film, The Wackiest Wagon Train in the West (1976). Denver's other television roles included guest appearances on multiple episodes of Love, American Style, The Love Boat and Fantasy Island. In 1983, he starred in the television pilot The Invisible Woman as the bumbling mad scientist uncle of the title character. Denver's first feature film appearance was in the service farce, A Private's Affair (1959), with Sal Mineo. Credited as "Robert Denver", he had a small role in the Jimmy Stewart film, Take Her, She's Mine (1963), playing a beatnik poet working at a coffee shop. Denver also appeared in the beach film For Those Who Think Young (1964) with Tina Louise prior to the development of Gilligan's Island. Other films in which Denver appeared include Who's Minding the Mint? (1967), The Sweet Ride (1968) and Did You Hear the One About the Traveling Saleslady? (1968) with Phyllis Diller. In 1983, he appeared in the television movie High School U.S.A.. In 1970, Denver replaced Woody Allen in the original Broadway production of Allen's hit comedy Play It Again, Sam, earning praise from The New York Times critic Clive Barnes for conveying "a genuine clown-like wistfulness" that Barnes had found lacking in Allen's own performance in the starring role. Later in his life, Denver returned to his adopted home of Princeton, West Virginia, and became an FM radio personality. He and his wife, Dreama, ran a small "oldies format" radio station, WGAG-LP 93.1 FM. He also earned a small income making public appearances, often costumed as Gilligan. In 1992, he played Gilligan to benefit the Make-A-Wish Foundation for a West Virginia fundraiser for the organization. 1957 The Silent Service Murph Episode: "The Tang's Last Shot"
1963 Dr. Kildare Dr. Paul Garrett Episode: "If You Can't Believe the Truth"
The Farmer's Daughter Lieutenant Tenner Episode: "An Enterprising Young Man"
1964 The Andy Griffith Show Dud Wash Episode: "Divorce, Mountain Style"
The Danny Thomas Show Herbie Episode: "The Persistent Cop"
1967 I Dream of Jeannie Harold Episode: "My Son, the Genie"
The Love Boat Norman Lomax Episode; "A Dress to Remember"
1987 The New Gidget Gilligan Episode: "Gilligidge Island"
ALF Episode: "Somewhere Over the Rerun"
1992 Baywatch Gilligan Episode: "Sit Right Back and You'll Hear a Tale"
1994 Space Ghost Coast to Coast Episode: "Gilligan"
Herman's Head Episode: "The Herm from Ipanema"
1995 Roseanne Jackie Episode: "Sherwood Schwartz: A Loving Tribute"
1997 Meego Gilligan Episode: "Mommy 'n' Meego"
^ "TV's beatnik is a Square at heart". The Age. June 14, 1962. Retrieved May 29, 2013. ^ Martin, Douglas (September 7, 2005). "Bob Denver is dead at 70; Star of Gilligan's Island". The New York Times. Retrieved September 13, 2016. ^ "Dr. Kildare Episode Guide". richard-chamberlain.co.uk. Retrieved October 12, 2013. ^ "35th Anniversary Celebration: A Mayberry Reunion". iMayberry.com. Retrieved October 12, 2013. ^ Straight Dope staff (Lileth). "Was the "Gilligan's Island" theme song tampered with?". The Straight Dope. Cecil Adams. Retrieved April 4, 2006. ^ "Gilligan's Island (Gilligan's Island Tidbits section)". The Fifties Web. Retrieved April 4, 2006. ^ Adam Bernstein, "Bob Denver, 70; Brought Goofy Comedy to Role as TV's Gilligan", The Washington Post, September 7, 2005. ^ "Tour planned for children's group". The Sunday Times-Sentinel. April 12, 1992. Wikimedia Commons has media related to Bob Denver. This page was last edited on 18 February 2019, at 17:25 (UTC).